If you only see a dentist when problems arise, you may be missing out on some important benefits! As doctors who specialize in oral health, periodontists offer a wide range of preventive services. 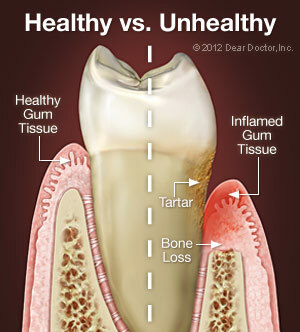 At your regular exams, for example, you will be checked for any signs of oral cancer, tooth decay, gum disease, and other oral infections; hard to reach deposits from your teeth will be cleaned; and you can get answers to any questions you have on topics ranging from oral hygiene issues to the connection between oral health and systemic diseases. So please do not wait for a serious problem to come up before you make an appointment. Having regular checkups could save you lots of time, aggravation, and cost in the long run. It could even save your teeth! Working together, we can take proactive steps toward a healthy future.